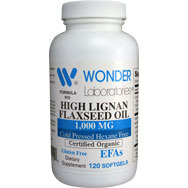 Per dailyhealthlifestyles.com, not only have flaxseeds been around for more than 60 centuries, they have been cultivated and used for nutritional purposes dating back to as early as 3000 B.C. The seed’s health-inducing properties has long been known; get this, flaxseeds are so highly regarded that by the 8th century, King Charlemagne made it a law that all members of his court as well as all of his subjects were required to eat them as part of their regular diet, although it is unknown how thoroughly he was able to monitor adherence to his law. No doubt, though, this was one edict that didn’t require arm-twisting of court members and subjects for compliance. Lots of fiber, light on carbs. A healthful combination. Flaxseeds contain both water soluble and insoluble fiber, which, per dailyhealthlifestyles.com, makes it easier for your body to be flushed out by just drinking water. Because the seeds also have minimal carbohydrates, they are a healthy source of energy without need for sugar. Also, both forms of fiber promote detoxification, loss of fat, and a reduced craving for sugars. Good for the intestinal tract. Flaxseeds provide an abundance of mucilage gum, which is a fiber that can form a gel that helps the intestinal tract by slowing the emptying of consumed food into the small intestines, allowing your body to more efficiently absorb nutrients. Healthy digestion. Among other things, flaxseeds contribute to the proliferation of good bacteria in the intestines, while also cutting back on gut inflammation – the kind of inflammation that can lead to abdominal pain and less food consumption. Per dietgood.info, flaxseeds can play a role in cutting back on the digestive inflammation linked to Crohn’s disease, as well as other similar conditions. Reduced cholesterol. Both kinds of fiber found in flaxseeds trap fat and cholesterol in the digestive system, preventing those two compounds from being absorbed by the body. 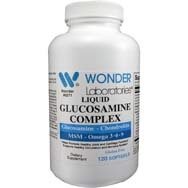 This is tied into your body’s increased production of bile, with that extra bile consuming any excess cholesterol in your body, resulting in a reduction of overall cholesterol levels. Acts as an antioxidant. 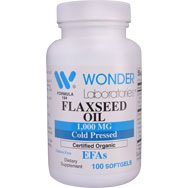 Per dailyhealthlifestyles.com, flaxseeds are a robust provider of antioxidants, which are molecules that thwart the oxidation of other molecules. Why does that matter? Because oxidation in molecules is a chemical reaction with the potential to create free radicals that can lead to cell-damaging chain reactions. Flaxseeds also are rich in lignans, which have a strong antioxidant value and can have a positive effect on protecting your immune system. 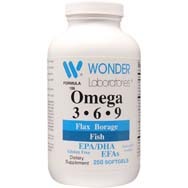 Source of omega-3s. 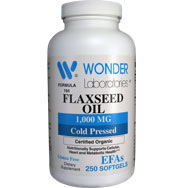 These are unsaturated fatty acids most often associated with fish oils but also found in flaxseeds. 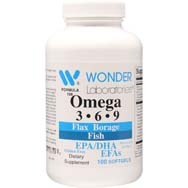 Omega-3s have the potential to bolster the effects of antidepressants, thus reducing depression levels and even alleviating the symptoms of bipolar disorder, although a consultation with a health professional is definitely in order before throwing away any depression-related prescriptions to be replaced by flaxseeds. Aid in weight loss. The healthy fats and fiber found in flaxseeds can help induce the sensation of achieving satiety – a feeling of being full, thus preventing overeating and leading to weight loss (hopefully). The seeds’ ability to reduce inflammation also factors into promotion of weight loss. Improve skin, hair, and eyes. In other words, flaxseeds have beauty secrets all their own. 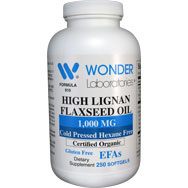 The essential fats, alpha-linolenic acid (ALA) fats, and presence of B vitamins enhance skin in a number of ways to include diminishing flakes, dryness, and other skin conditions such as acne and eczema, per dietgood.info. These seeds can also work against dry eye syndrome.